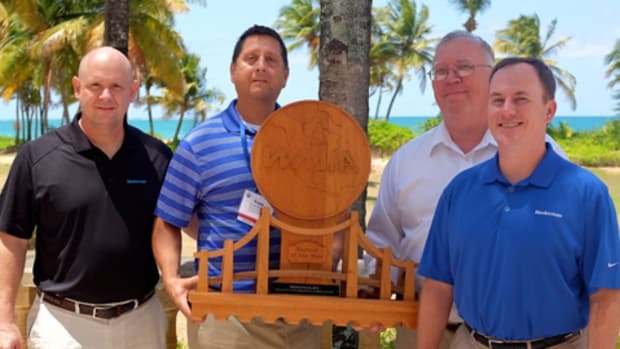 Mohawk Finishing Products selected Glue Products in West Palm Beach, Fla., as its distributor of the year. Glue products also received the award in 2012. The award recognizes Glue Products for its sales performance and support of the Mohawk Distributorship Program. “Glue Products’ growth is a reflection of its leadership and desire to be one of the best suppliers in the industry. In addition to its extraordinary sales efforts, Glue Products is recognized for its continued frequent customer training using Mohawk products and an exceptional working relationship with its customers,” Mohawk said in a statement.